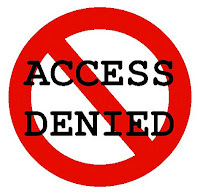 Sometimes you want to block any website or want to restrict any specific website access from your children , you can add them manually to block list of your computer, this method only works if you want to block only specific websites, if you want to unblock it , you have ti do it again manually. So, bookmark this post before making any changes. Open Notepad as administrator by using right click on notepad icon. Then Paste 127.0.0.1 www.yoursitename.com, Just Below the Following Lines. ># localhost name resolution is handled within DNS itself. NOTE:- Replace "www.yoursitename.com" With name of website which you want to Block 4.